Visit www.savesasport.com and get 20% OFF all Canterbury, Mizuno and Puma Rugby Boot purchases with the Coupon Code provided. Visit www.savesasport.com and get 15% OFF when you purchase any New Balance, DP or Puma Cricket equipment with the Coupon Code provided. Visit www.savesasport.com and get 15% OFF all Masuri Cricket Helmets with the Coupon Code provided. 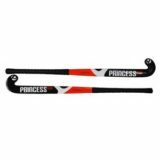 Visit www.savesasport.com and get 15% OFF all Princess and Dita Hockey Gear with the Coupon Code provided when you purchase online. Visit www.savesasport.com and get 20% OFF all PUMA Rugby & Soccer Boots with the Coupon Code provided.